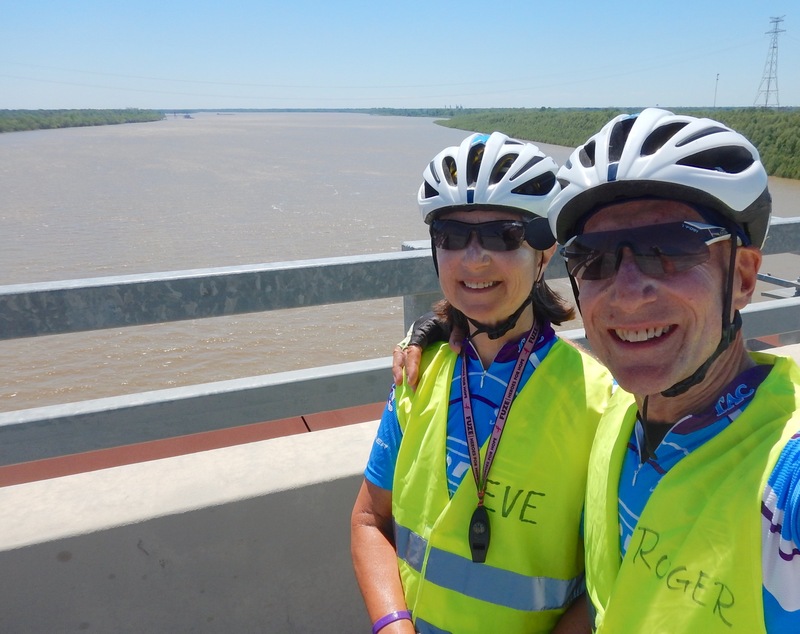 It’s not every day that you can ride through the bayou and cross the Mississippi River! 1948: Truman is President and perhaps the last time Louisiana paved its roads. 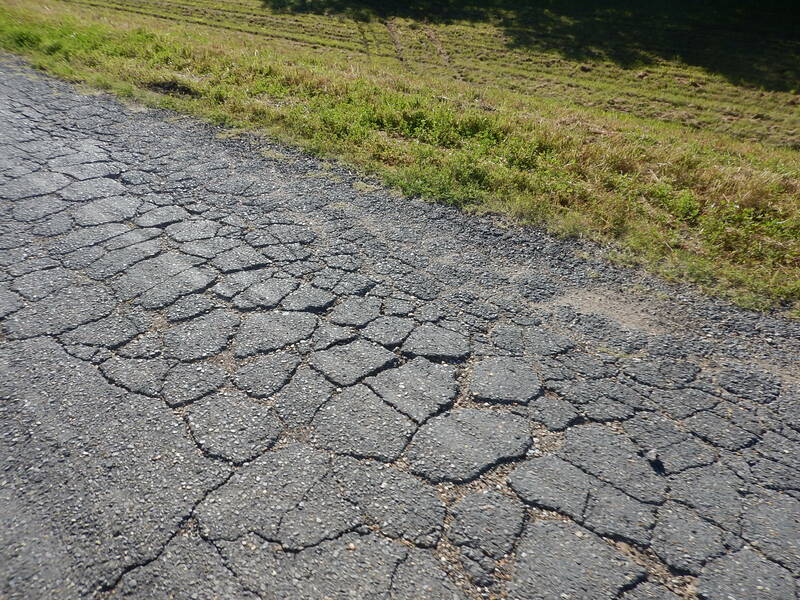 We are in the heart of Louisiana where some of the roads that are maintained are in worse shape than some of the forgotten roads. 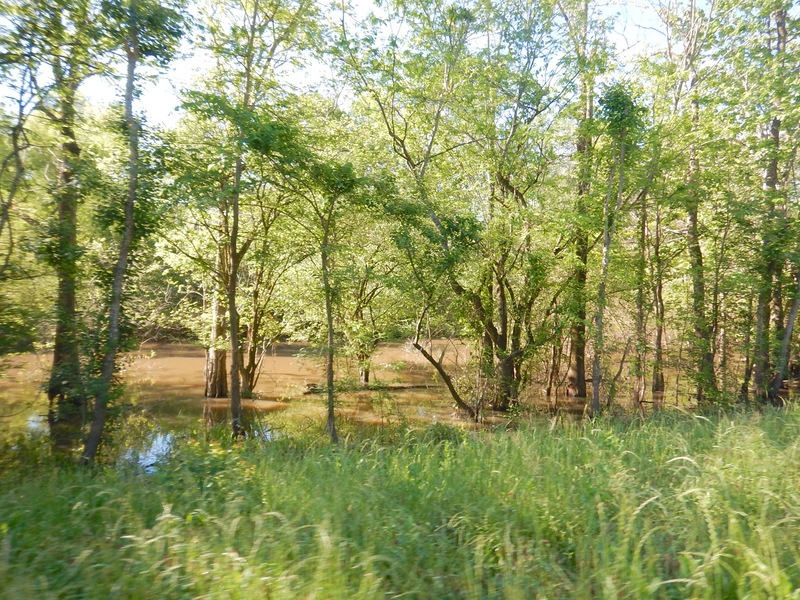 Bubba knows a secret road that allows us to ride through a swampy bayou and bypass a busy and dangerous part of US190. It’s car-free and beautiful, but some of the pavement is missing. 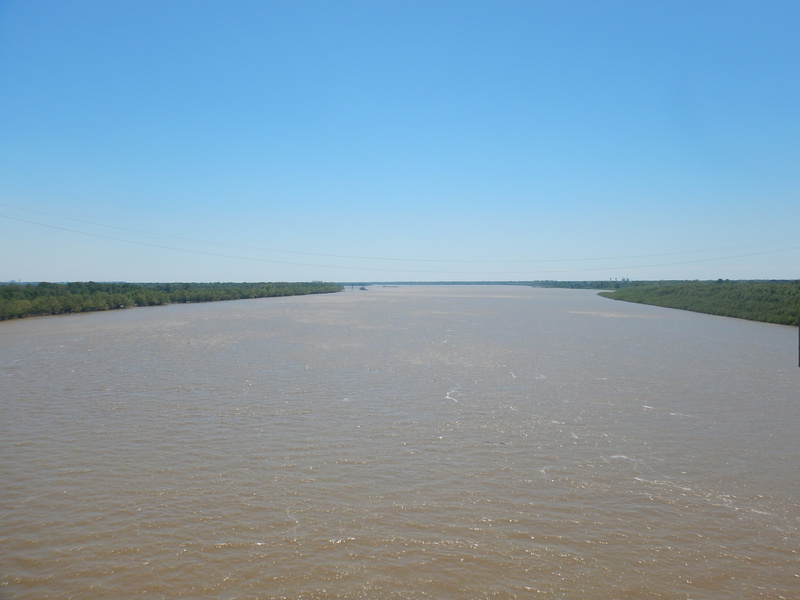 The highlight of the day is the crossing of the muddy, mighty Mississippi River! 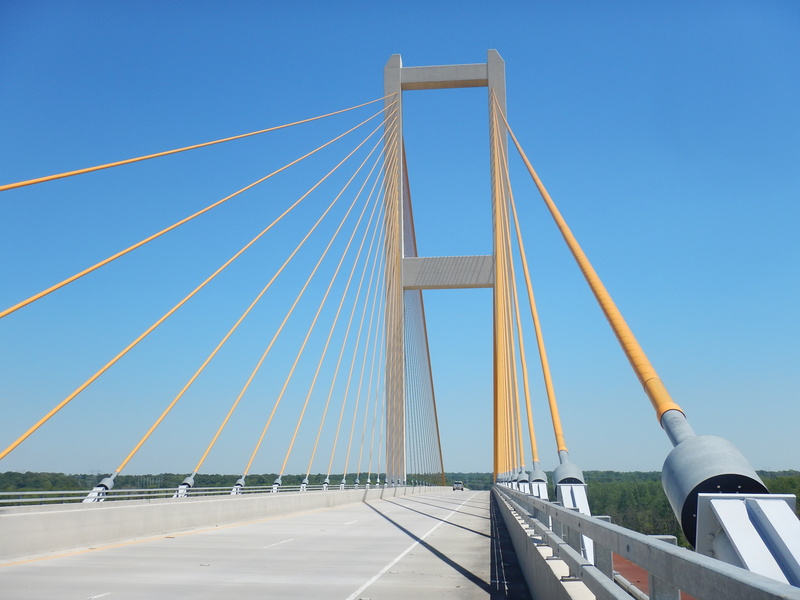 The John James Audubon Bridge is a beautiful structure and the river is pretty wide at this point. Don’t worry, here’s the required selfie. For you Dylan fans, look what we found. 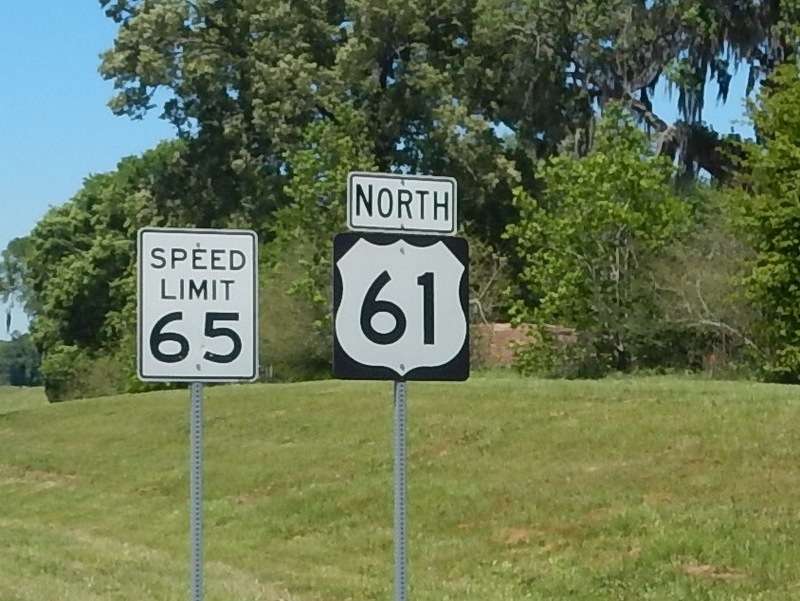 If we ride on it again, will it be “Highway 61 Revisited”? Tomorrow: Another hard-earned day off. Our butts will like the change of pace. Reg beat me to it. So it’s left to me to observe that some of Bubba’s secret road looks like Desolation Row. You crack me up, Rev. Job!